The dessert world is almost as fast-paced and ever-changing as the fashion industry; the hot new items literally sell like hot cakes, and what’s the ultra trendy bite of today can easily be overthrown by a new, super cute, super sweet, and super delish treat tomorrow. Do you lot remember when red velvet was ALL the craze circa 2010? Let’s not discount the cupcake mania that overtook the world roughly five years ago. Despite the internet and a more in-touch younger population, Malaysia still tends to arrive slightly too late at the party. Can anyone say, Curse of the Blitz? Okay, perhaps it’s that in reverse. This is highly likely due to the fact that the larger population simply DGAF. Which is fine. 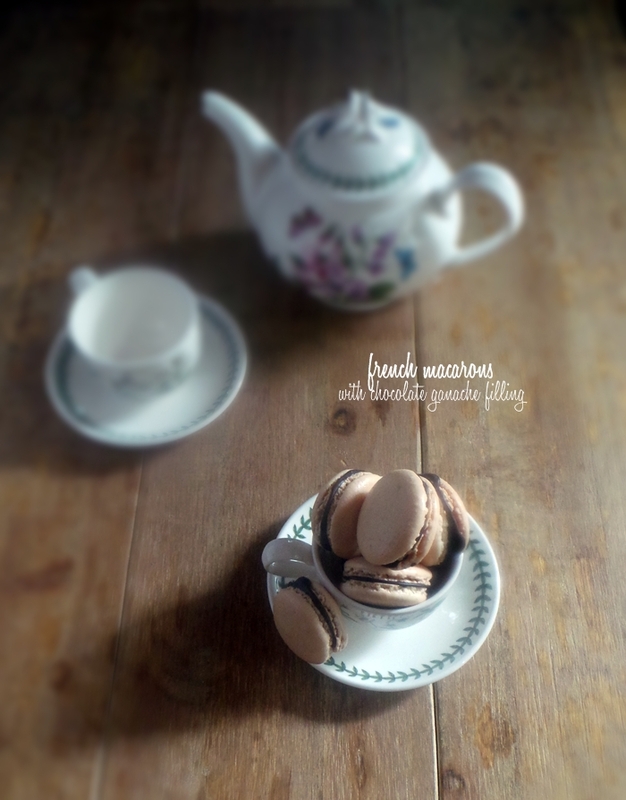 For today’s post, I’ll be visiting those finicky little French treats: Macarons. 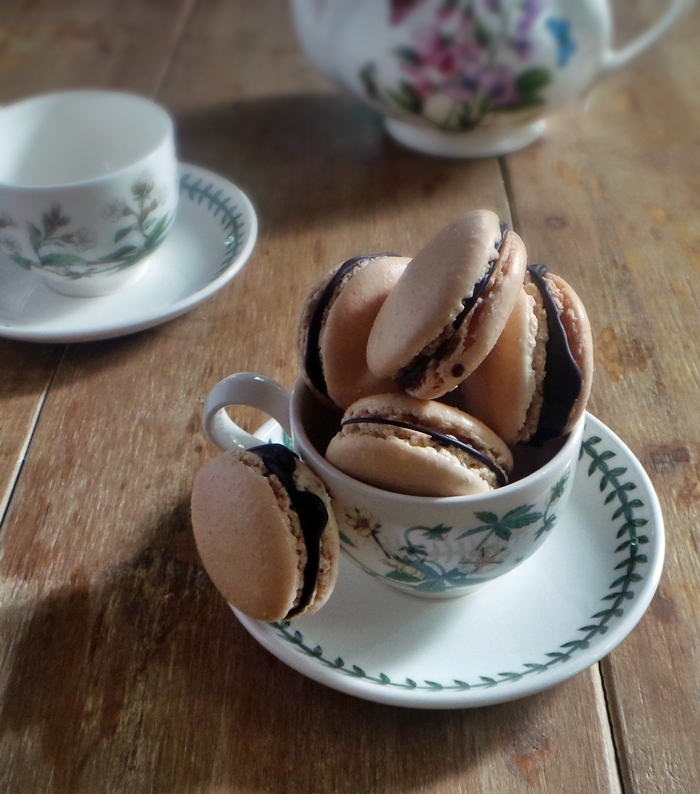 Not macaroOns, mind you, that’s something else entirely! 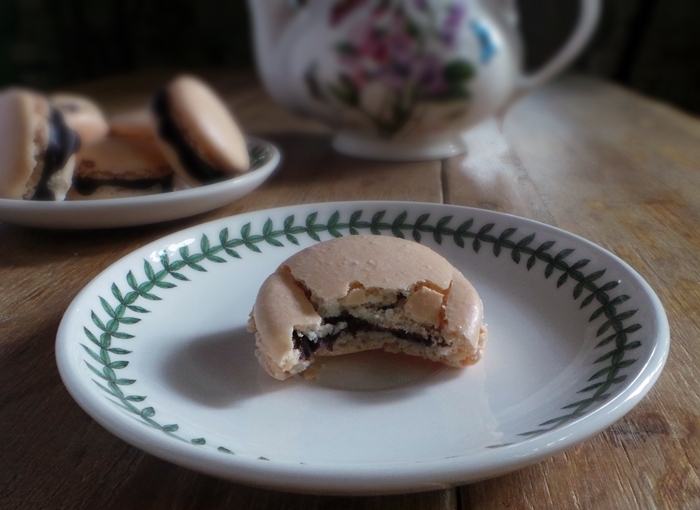 The french macaron, as the world now knows, are little almond meringue cookies, with some sort of super sweet filling sandwiched in between. So, the French Macaron had their renaissance decades ago (internet years = dog years), but it’s still a very popular treat here, and you know what? I think I’m only now starting to actually appreciate them, even though I’m still a little meh at how sweet these things are. They’re really pretty though, and last week I decided to try a new recipe, some sort of challenge that I have yet to tackle. 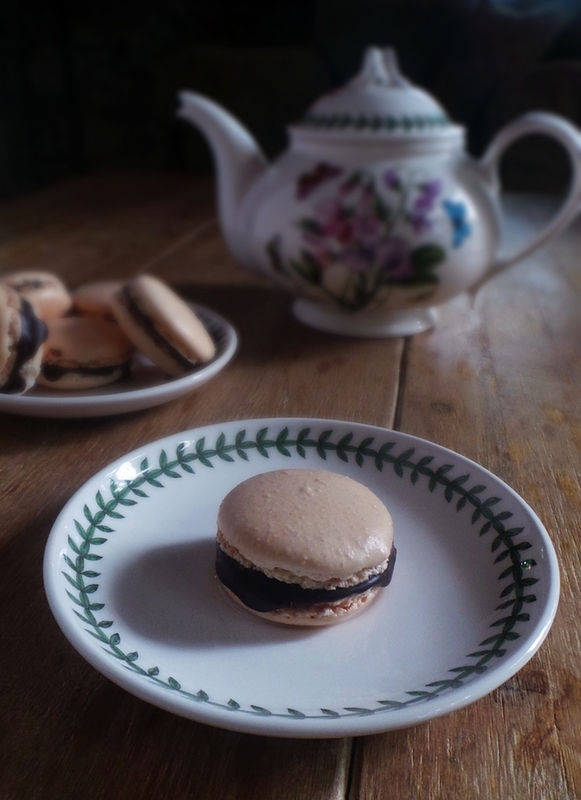 And in the two years that I’ve been baking seriously, the macaron is the only thing that scared me that I had yet to attempt! Can you believe that two years ago, I was terrified of plain buttercream? So after reading countless blog posts about how ridiculously difficult and complicated the technique for making the little macaron shells are, I finally decided to just go with a recipe (I went with Steph’s over at Raspberri Cupcakes, as she seems to make macarons every week and they turn out great) and get down to it. Surprisingly enough, the first attempt I made at these things, by following the instructions to the T, I managed to pull them off quite well! Hoozah! Surprisingly easy, quite yummy, and I’m sure I’m going to be trying these out again. Hi nabs, may i know what font did you use to type the words in the first photo? Hey there, sorry this took me so long to reply to but I couldn't find it and I realised that it was on my brother's laptop. It's Honey Script, in bold.